Santa still hasn’t made his way to 34th Street yet, but we’re already looking forward to the 2017 holiday season. 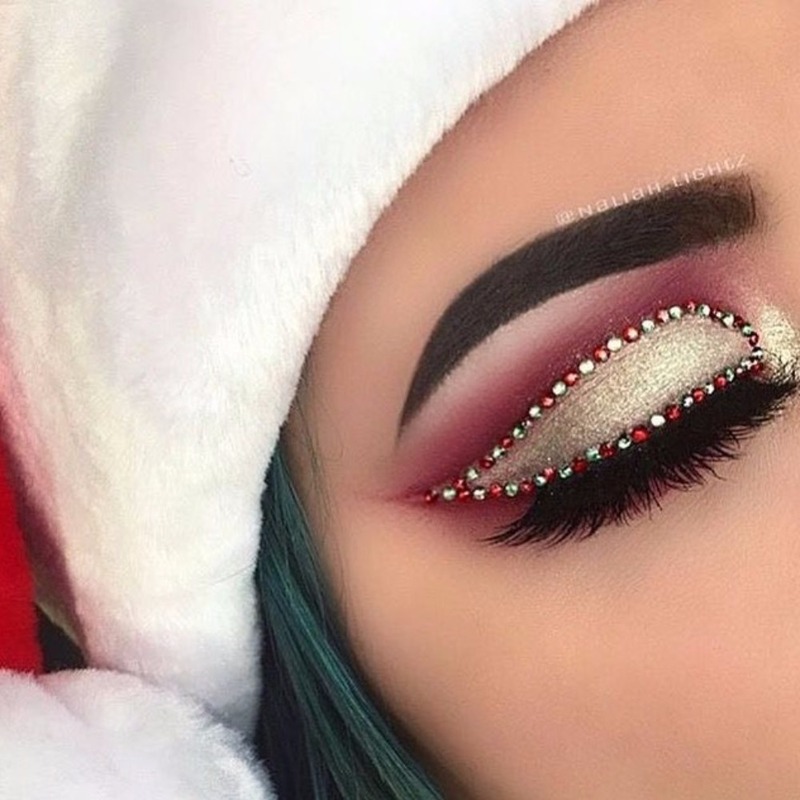 And this year, the beauty trend that’ll be showing up at all of your holiday parties, gift exchanges and mistletoe-happy mixers is completely blowing the candy candy liner fad of 2016 out of the water. You’ve seen the red and white stripes before, but get ready for red and green like you’ve never seen it before, glitter gone wild and makeup motifs that legit look like Kris Kringle himself threw up all over you (in a good way). Whether you want to keep it simple with a metallic eye that has just the right amount of seasonal sparkle, or you’d prefer to go all out with ultra-dramatic, winged liner and artistic, yuletide decals that rival some of the most popular Snapchat filters (Rudolph, we see you! ), the options for looking festive AF are endless. We happen to love the more low key look - with some shimmer shadowing and a few on-point snowflakes - but if you want to go full-on green and Grinchy, go right ahead! It’s the most wonderful time of the year, right? Perfect occasion to go a little crazy. If you’re single during the holidays, maybe you’ll want to try one of these out? Nothing wrong with peacocking a little! Swipe through to see some of the cutest lewks we Noel-o-v-ing. Many of which would be AMAZING with a jewel tone wedding look, too, BTW.